The number of ways you can communicate visually is growing exponentially with every passing second. As early as 2012, a static infographic was visually stimulating enough to catch the eye of any Internet user. Nowadays, however, the race to catch viewers’ attention with more provocative and eye-catching visuals is more competitive than ever. Just look at the amount of animated and interactive infographics online to see what I’m talking about. It’s no secret that this responds to audiences’ insatiable appetite for increasingly stimulating and powerful visuals with a little touch of animated films mixed in with video game effects and interactivity. To inspire you on your quest to creating innovative content that not only inspires and educates your viewers but moves them to a specific action, we’ve compiled a list of some of the best interactive and animated infographics you can find on the Web right now. Much of the visual content we see on the Web right now emulates video games that provide users with immersive experiences that marry top-notch storytelling with interactivity. This animated and interactive piece, for example, reels readers in from the outset with stunning motion graphic effects and bright, vivid colors. The viewer is then allowed to direct the pace of the interactive piece by using the arrows on the right side. One noteworthy feature of this innovative piece is the use of predominantly flat colors to create 3D designs and the use of interactive graphs, which you can access by clicking on the icon next to the name of the species. 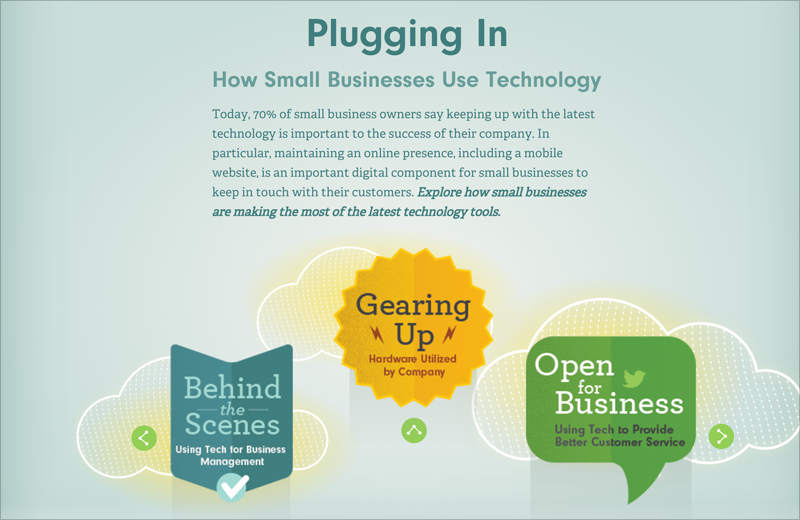 Another big trend in the infographic world is the use of animated GIFs. Just take a look at how this beautifully designed animated infographic created by Jacob O'Neal not only gives viewers a very detailed look at what goes on beneath the hood of a car, it also catches the eye instantly by creatively combining animated elements with static ones. Aa an animated GIF, this image can also be conveniently posted on all different types of social media platforms and still be immediately appreciated by viewers. 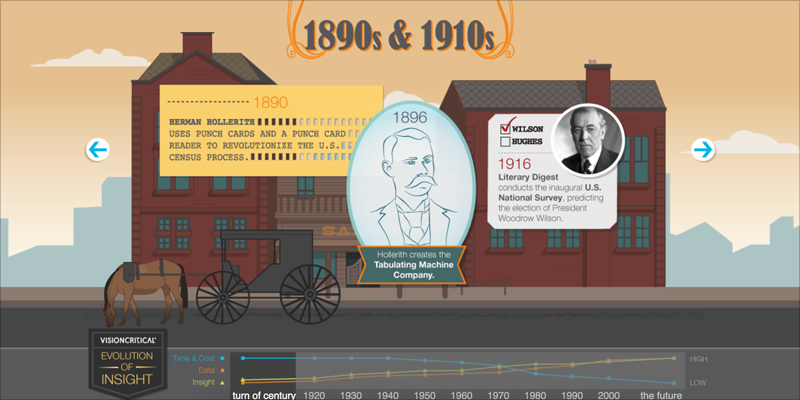 Similar to the first examples, this is an interactive and animated infographic in the form of a timeline. By combining high-quality graphic elements with well-executed animation effects, this piece of storytelling fulfills its purpose of rising above the noise and drawing attention to itself. 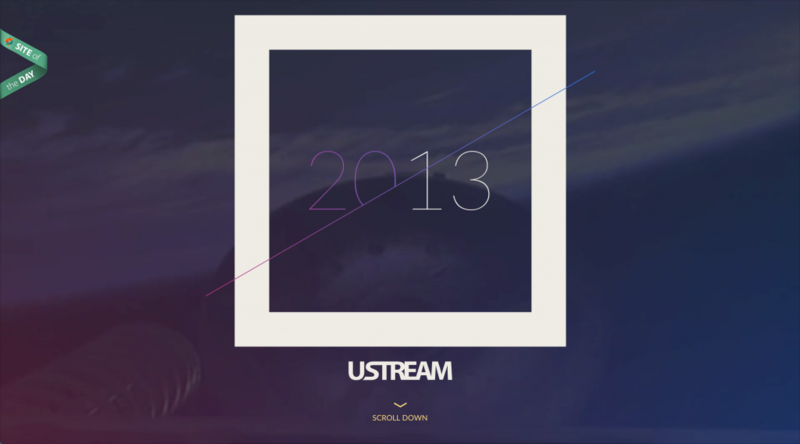 Like the second example above, this animated GIF educates and entertains at the same time. The idea is to use micro-animations to catch the audience’s attention on social media channels and simulate the experience of looking at a real group of living, breathing gorgeous butterflies. KTU from PetPunk on Vimeo. This infographic on KTU University in Lithuania deftly incorporates motion graphics and transitions using animated icons that artfully transform from one segment of the video to the next. If there’s one thing modern readers and viewers like, it’s freedom of choice. This interactive infographic provides viewers with total freedom to explore each of the different levels of information and go as deep--or superficially--as they like. This full-width interactive infographic attracts attention not only because of its size, but its expert use of vivid and bright colors, subtle but effective animation and large, bold fonts. MailChimp is one of those rare companies that goes beyond the call of duty each year to deliver awesome annual reports that are both engaging and informative. 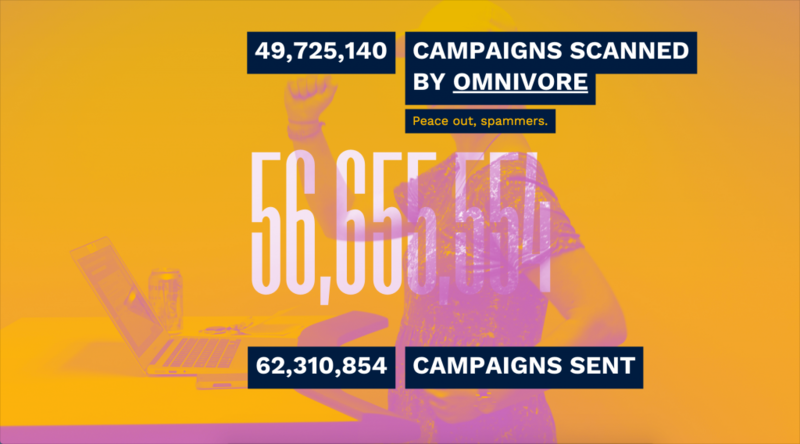 This full-screen interactive report does just that by using vibrant color overlays, daring and bold typefaces and telling figures. This interactive infographic report harmoniously combines a friendly and approachable look with hard numbers to deliver a very palatable and pleasant read. From start to finish, the animations used are smooth and appropriate--yet subtle--and the visualizations actually go beyond just looking pretty to making data easier to understand. Warby Parker is a company known for breaking the mold. It accomplishes this with an annual report that turns the tables on the reader; instead of providing the usual figures and numbers on the company’s performance in the last year, it asks audience members to create their own report. This animated infographic uses beautiful yet haunting background music and graphics to effectively send a powerful message to its viewers. It strikes just the right tone and leverages just the right amount of animation, graphic elements and text to create an impactful display of information. These stunning motion infographics are both incredibly beautiful and informative at the same time. They combine sleek, professional-looking static design with other animated elements, producing a unique, eye-catching data visualization. 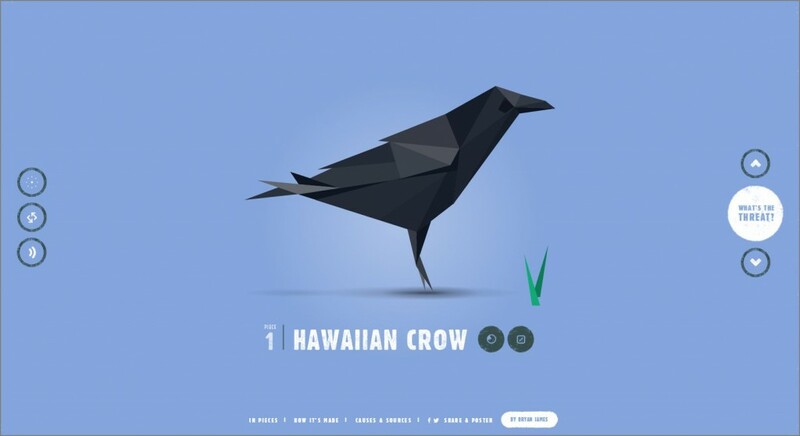 Using just black and white graphic elements, this simple but artfully created animated infographic dazzles viewers by using well-thought-out transitions that seamlessly connect one concept or idea to the next. Eckert Caine - Bridge from ale pixel on Vimeo. Just like with the previous animated infographics, this one stands out due to its expert use of creative transitions and harmonious combinations of text, animation and narration. If you study each of the transitions, you’ll see that there are no abrupt stops; no unsteady shifts from one idea to the next. HP Make It Matter - Motion Graphics Montage from Dave Felton on Vimeo. This motion graphics montage including animated infographics combines real-life images with animated infographics, giving it a special three-dimensional quality and creative touch. This goes to show that combining seemingly disparate elements can actually make for an attractive infographic, if weaved together in the right manner. Let me know if this is something you’d be interested in and I’ll send it over to you. Hi Rebecca, sure. Send it over and we can take a look at it. Thanks for the feedback, Jeff. Definitely think this is one of the best ones on this list. In the second infographic “how a car engine works”, I must say its really informative and logically discussed. Thanks, Anna! Glad you found it useful. As a teacher, I must say the infographics for the history of the internet is really great. Your efforts can be seen clearly. Thanks, Amanda! Glad you liked it. Thanks, Chris! Glad you liked it. Absolutely loved your article on animated infographics. My experience with visual content vs text is visual content trumps a thousand times. Hence the saying a picture says more than a thousand words. However for SEO, text is vital. Looking forward to your updated article. Well done. Hi Will, thanks for the feedback. Stay tuned for a study we’re releasing on the how visual content aids comprehension. who are the best online platforms to get these made from? self made and services please?